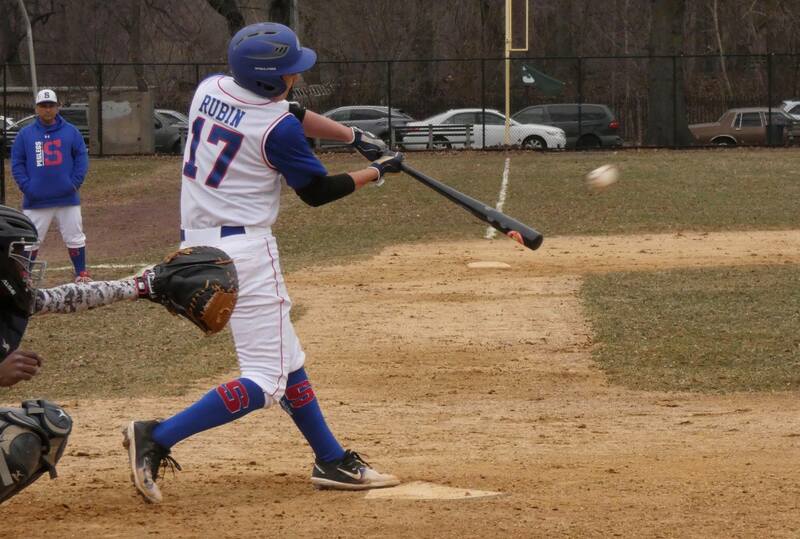 Cooper Nissenbaum at the dish. 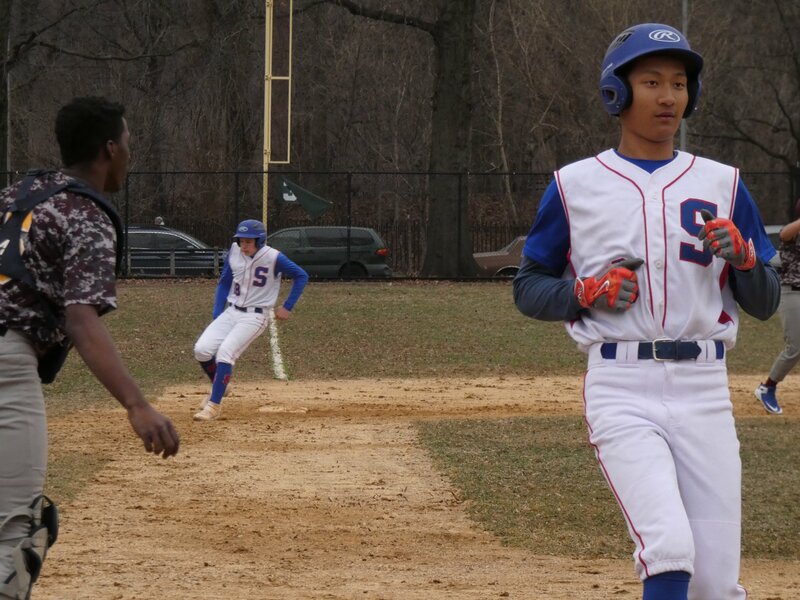 Clement Chan scores on a single by Jared Asch. Congrats to the Peglegs on their opening day win over Norman Thomas HS. 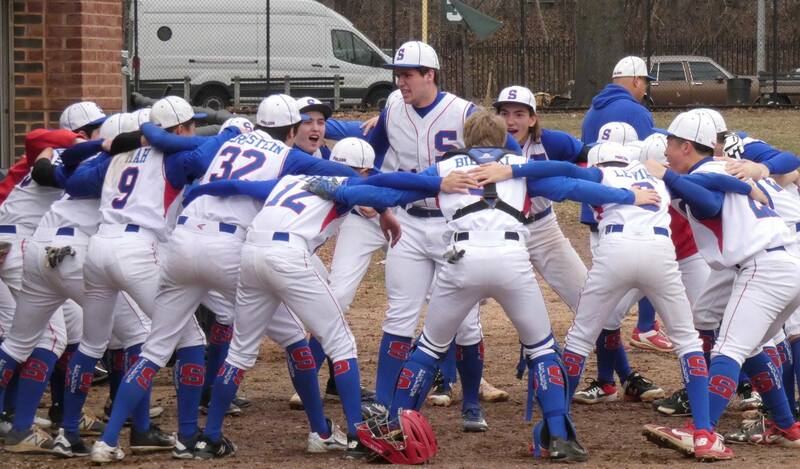 Jared Asch and Jeremy Rubin combined for a 3 hit shutout. Jared also added 2 hits and the Peglegs walked 10 times and stole 10 bases. We return Wednesday to Pier 40 to faceoff against Norman Thomas again. 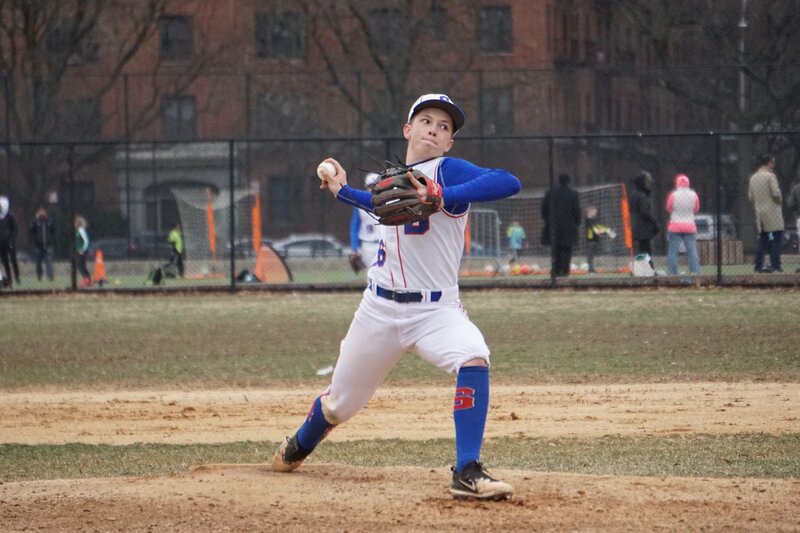 Stuyvesant defeated Norman Thomas 10-0 on Monday as two pitchers combined to throw a shutout. 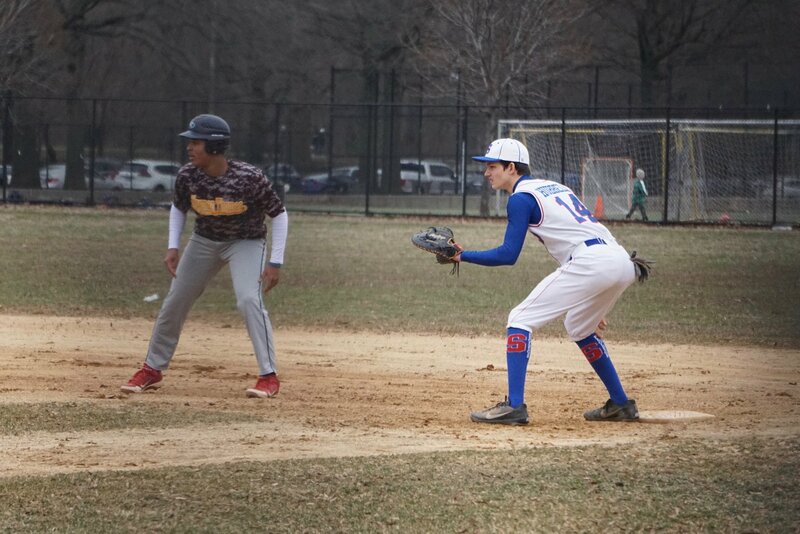 Stuyvesant secured the victory thanks to six runs in the fourth inning. 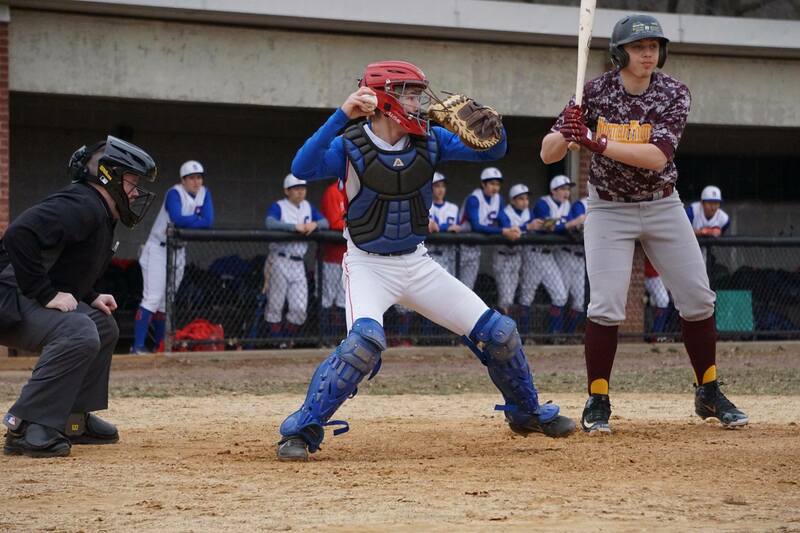 Rubin, Owen Potter, Jared Asch, and Daniel Kim each had RBIs in the frame. In the first inning, the Peglegs got their offense started when Jared Asch singled on the first pitch of the at bat, scoring one run. 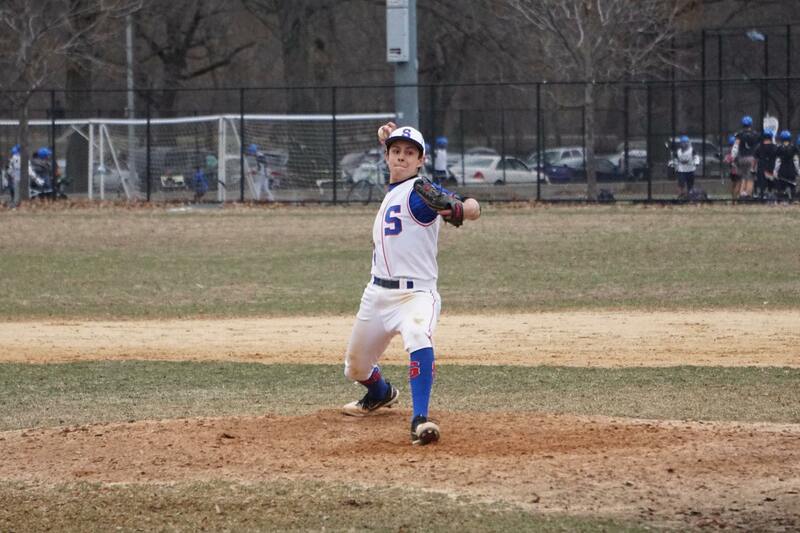 Asch led things off on the mound for Stuyvesant. He lasted three innings, allowing two hits and zero runs while striking out nine and walking zero. 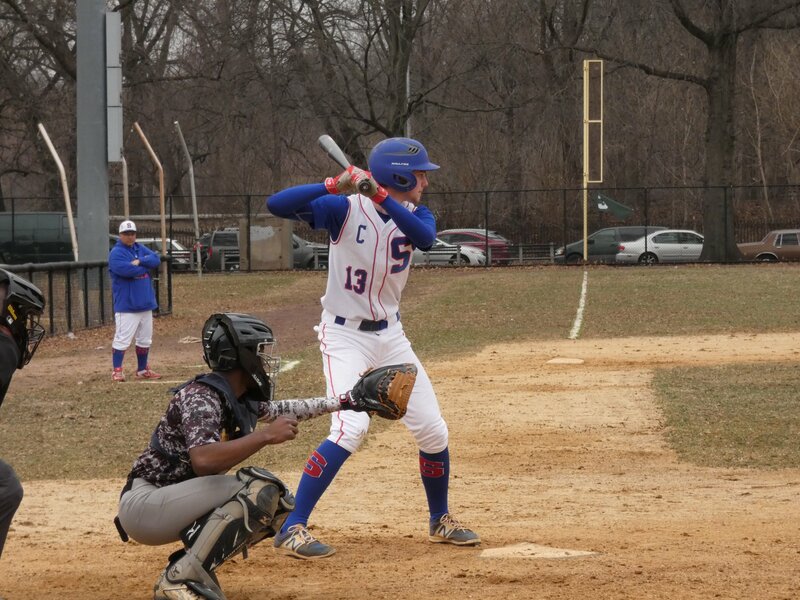 Asch led Stuyvesantwith two hits in four at bats. 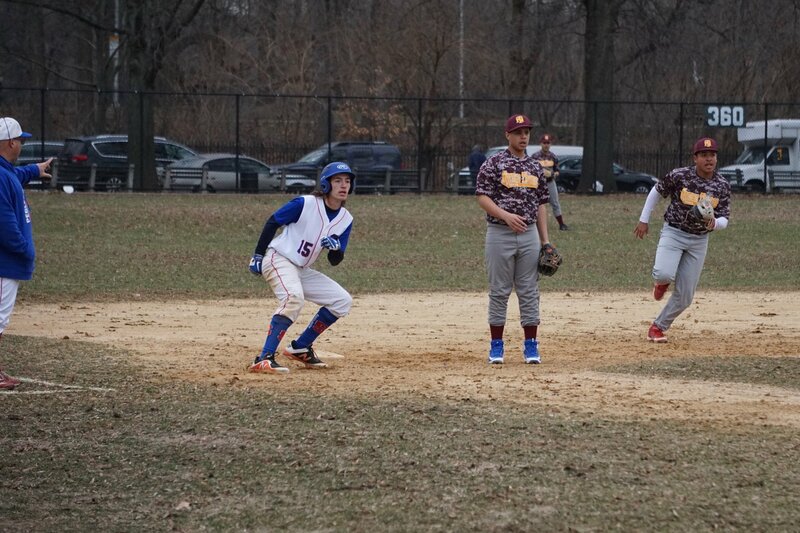 Stuyvesant tore up the base paths, as three players stole at least two bases. Kim led the way with two. Stuyvesant was sure-handed and didn’t commit a single error. Luca Bielski made the most plays with 13.